CPT President Mark Spivak and his research colleague and Dogstar Technologies co-owner Professor Gregory Berns were featured in the Spring 2014 issue of Emory Magazine. The outstanding article, “And the Dog Has His Day- Why Dogs are the New Darlings of Cognitive Science,” also features Duke researcher and Emory graduate Brian Hare. The article delves into the origins of the dog’s inclusion in cognitive science and then advances to contemporary times when describing “The Dog Project,” the moniker for the groundbreaking fMRI research undertaken by Berns and Spivak. The article describes the genesis for The Dog Project, which occurred when Prof. Berns viewed photographs of military dogs rappelling from helicopters and then became determined to become the first researcher to train a non-human animal to take an MRI without sedation or restraints. Berns also discusses his primary goal behind the research, which is to better understand the dog-human bond. The article then describes a Dog Project practice session at CPT. Excellent photographs accompany the article, including photographs taken at CPT and during live scans at Emory. Moreover, for those interested in learning more about the canine brain, the article includes a discussion of the major anatomical differences and similarities between dog and human brains and the relevance to differences and similarities in brain function. The second section discusses the development of Duke professor Brian Hare’s interest in studying animal behavior, which interestingly started because tardiness prevented him from making the Emory baseball team. On a side note, Brian told the story in-person to Greg and Mark during a recent dinner in Raleigh, NC. It is amazing how an initially unfortunate circumstance kindled his amazing passion for studying evolutionary anthropology and animal behavior. Hare started by studying chimpanzees with Emory professor Mike Tomasello, but converted to focusing his research on dogs. The author details the serendipitous conversation that spawned Hare’s noteworthy work regarding the proficiency of dogs in recognizing the pertinence of human gestures and gazes, a skill where the dog far exceeds the supposedly more cognitively astute chimpanzee. The section progresses by describing a training session at Duke’s Canine Cognition Center, the home for Hare’s company, Dognition. Those who are interested in learning more about how researchers are humanely learning about canine cognition, emotions, sensory perception, and receptive communication will appreciate this extremely well written article. 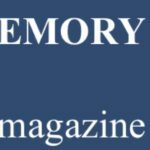 To access the article, please click the following link: http://www.emory.edu/EMORY_MAGAZINE/issues/2014/spring/features/dog.html.